One thing I have noticed over the thirty years I have been playing guitar is that guitars have their own sound no doubt, but amplifiers do “reproduce” the sound of the electric guitars differently. Case in point, the Les Paul guitar coming out of a vintage Marshall an amp with plenty of treble, sounds fat yet cuts through nicely. I believe the same thing for a Les Paul running through a blackface Super Reverb, it cuts beautifully. Put that same Paul through say a Tweed Pro or a first run Ampeg Reverberocket and it sounds muddy and has trouble cutting through especially using the neck pickup. IMHO a sure test of a good Paul is does the neck pickup have some bite to it. Now the next question you may ask is, “are there any guitars that will cut through coming from one of these Tweed amps?” I say yes, plug a Strat in that same Pro and see how awesome it sounds, thick yet trebly. So the point of this column is, the choice of guitars is a primary decision – I don’t think there are many players out there saying “I wanna play a Twin Reverb what guitar should I get?” – and the amplifier choice is key in getting the sound you want. I am sure that there are some guitar strummers out there who would embrace the potential “mismatch” in guitar and amp symmetry, to assist in them finding there own voice. To this I say Cheerio! Always seek your own sound. Sometimes I believe that playing a Tele through a Twin Reverb can be a potentially intimidating experience as so many great guitar players have that combo as part of their signature sound. So here are a few suggestions that seem to work for me. #1: Fender Blackface Vibrolux amp and most Gibson equipped guitars especially a Les Paul, an SG, or any ES series guitar. 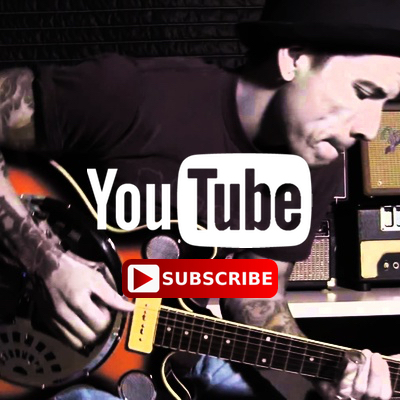 This is a great combo for rock, blues, country, pop and even jazz at a low volume. This was originally brought to my attention by my friend and fellow Vermonter John Sprung (knower of all Fender amplifier lore, etc). And as always he was right, this combo sound great! #2: Fender Brownface tremolo-equipped amp and a Stratocaster. This is a sound from the gods, an incredibly thick, full, hypnotic sound, not too dissimilar to Jimi’s sound using the Uni-Vibe but, I feel a more organic sound than even that striking sound. I do believe that when you start to overdrive this set-up from the front end with a pedal you do lose some of the clarity and basic integrity of this sound. If you don’t have a Brownface Fender and don’t want to change your primary amp you are now using just to get this sound, you might want to check out the Victoria Tremverb, it’s a tweed free standing unit ala the Fender Reverb unit but has the Brownface tremolo circuit also. #3: Marshall 18-watt combo amp and a Les Paul. Not much else to say here really, this sound will absolutely blow you away, it’s the sound we all marveled at on those early Clapton/ Peter Green recordings. I know a lot of you are saying that’s the “Bluesbreaker” sound and yes you are right it is but, I believe you can only get that sound from a hand-wired Bluesbreaker combo. 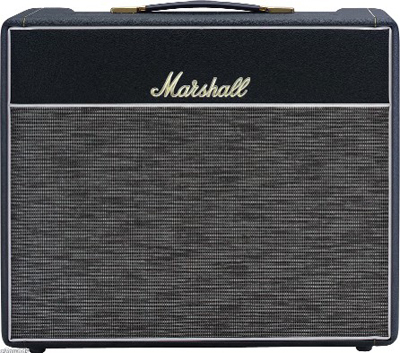 The new Reissue Marshall 1974x HW is the absolute balls! I own three of these and cannot tell you how happy I am with them. Get one! 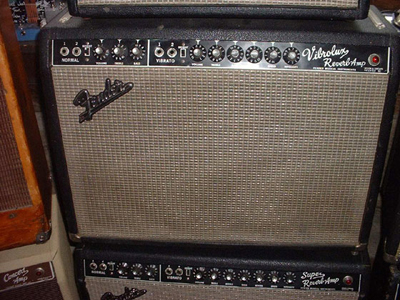 #4: Fender Blackface Twin Reverb amp and a Fender Telecaster. Clean, toppy and true, baby. Your technique will show through with this set-up like no other. If you are confident and want to be heard this is true test. And please don’t fool yourself into thinking that this is a country exclusive combination, because it is not, ask Mike Bloomfield. Those of you familiar with his guitar lineage will know that before the great Bloomfield went to the “Burst” he played a Tele through a Twin for years. Again I will tell you that this set-up will work for blues, rock, country and yes, even jazz. #5: Vox AC-30 amp and the Rickenbacker 12-string and the Gretsch Chet Atkins Models. Yeah I know another no-brainer, but how could I speak on the guitar-amp relationship without discussing the perfect one. As a foolish young man I was heard to say on occasion “imagine if the Beatles had used Fender amps and Gibson guitars instead of those god awful sounding Gretsch’s.” Oh boy was that a moment of genius, heh? The AC-30 and its Top Boost circuit helped the Gretsch cut through so well on those recordings while still remaining full and complete sounding across the frequency range of the guitar (a reoccurring theme in this column I’d say). Now onto the Rick 12 and the ¾ scale 325 model that John Lennon favored in the early Beatle days. Both of these guitars were equipped with what has been called the “toaster pickups”, These pickups did not have a lot of output which only enhanced the “jangly” sound we all came to love back then. The AC-30 embraced this aspect and produced a clean but yet again strong sound with not much in the bass end but with plenty of treble and mids. Another seldom ignored aspect of this sound was the fact that the Ricks came with flatwound strings and were smart enough to supply the Lads with replacements. Just a couple of quickies for you. Any cheapo hand wired amp from the early 60’s (Valco, Supro, Kalamazoo, take your pick) with a Danelectro lipstick pickup outfitted solid body guitar. And last but not least, a Tweed Fender Champ and any quality solid body guitar, cranked up to 10 baby!!!! Feel free to email me some of your faves and I will include thrm in future columns. And yet…there are soooo many amps out there that did not make the list…Matchless Lightning 15 watt,NR and an LP/SG/335. The toppy EL84 combo has more headroom than any Fender amp of similar wattage,and when you wind it out,and use your volume pot,it is a lot of fun!!! 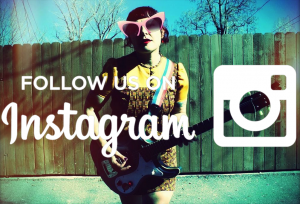 i’d add that any P-90 equipped guitar throgh a Fender Blackface Deluxe or bigger amp works really well, too. I like Teles and Strats through Tweed amps. For recording crunch rhythm parts, a 1960 or earlier Gibson GA-5 Skylark with a Jensen P8R speaker upgrade and either a Les Paul with split coils or a Tele or a Strat is just wonderful. Another one that works well is a Vox AC-4 TV10 with the Mercury Magnetics upgrade and a Celestion G10 Alnico gold speaker. It is great with either Fenders or a Les Paul. If you can’t cough up the cash for a Blackface Fender, a Savage 4X10 Blitz 50 or either a Macht 6 or Macht 12 are all world class hand wired amps and work with Fenders and Gibsons, too. ’60s era Vox AC-30s have way too much circuitry (70% of the circuit board is useless tremolo) and throw off enough heat combined with woefully inadequate ventilation that they often caught on fire, so I’d try one of the recently redesigned AC-30s if you like Vox. 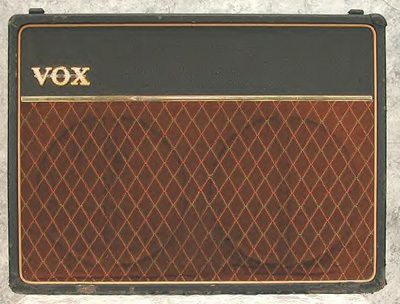 Regarding the AC30, there was not a lot of choice for British Bands in the early sixties. Fenders were unobtainable unless someone bought in Europe. I think Watkins and Selmer were the only other two majors until the middle decade. I read where George never really liked the sound of his Gretsch guitars. The Beatles became very Fender centric after giving up live work. I also read recently that the distorted glory of ‘Revolution’ was due to the ‘orrible solid state Vox Conqueror or Supreme models that are shown in film and photo’s of that period. George Martin has been quoted as saying “It was achieved by plugging straight into the desk and turning the gain up fully”. I’m not knocking Vox, but as soon as transistors were brought in, their sound went down the toilet. Hence Marshall, Hi-Watt, Sound City, Orange, Laney. And a host of lesser known valve beauty of the day like Simms Watts, Kelly, Impact, Carlsboro, Roost . Remeber that Vox sponsored most of the Mersey bands. 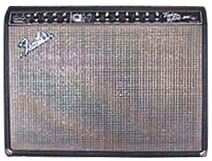 To be British, and to touch and hear a Fender Twin in the late sixties was magical. The classy silver cloth ,and that reverb whoaaaa.It was comparing a Morris 1100 to.